Also mid-way this year, I went to Davao for my second participation of the Davao Food Appreciation Tour or DFAT 2016. It's organized by our sister blogging group, the Davao Bloggers Society and their version too of the food crawl is way top-notched on its 9th year! 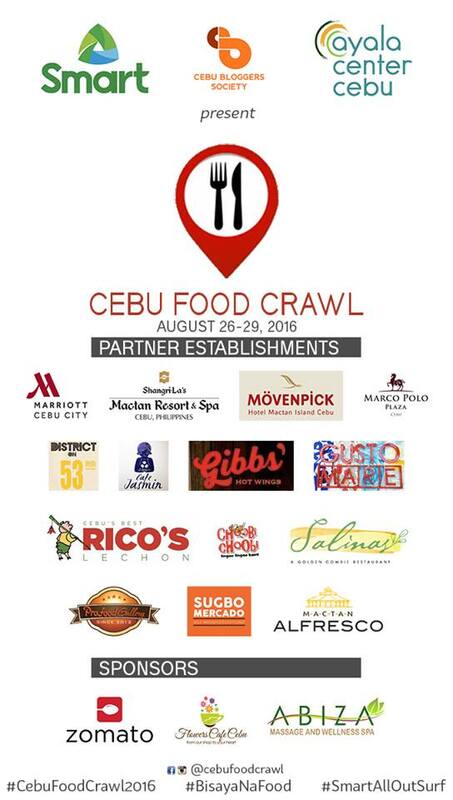 Check out this string of hotels and restaurants participating and delightfully hosting Cebu Food Crawl 2016. For 2016, the theme is "Destination Food". It will feature again Cebu being the center and haven of various food cuisines from different early influences of the island. Thus, major international hotels and restaurants partake on this 4-day gastronomic tour for bloggers all over the Philippines. It's nice that there are such blogs. You wrote it well.